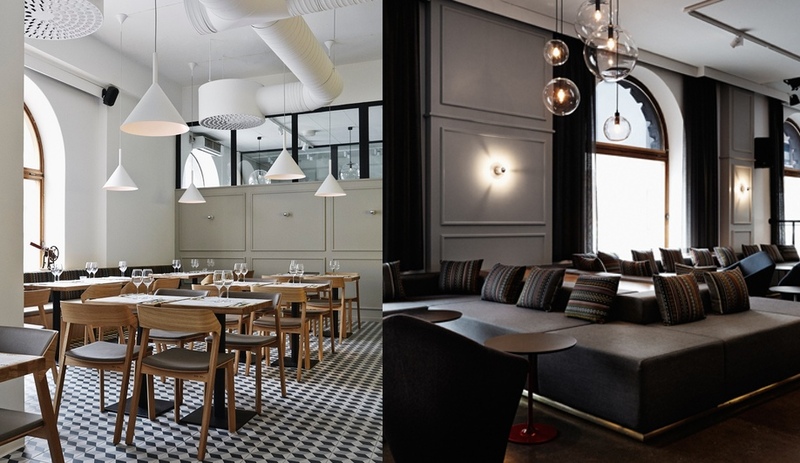 Bright white pendants and tile flooring in a trompe l’oeil cube motif set the scene at Intro, a 450-square-metre restaurant-nightclub in Kuopio, Finland, that was recently revamped by Joanna Laajisto. 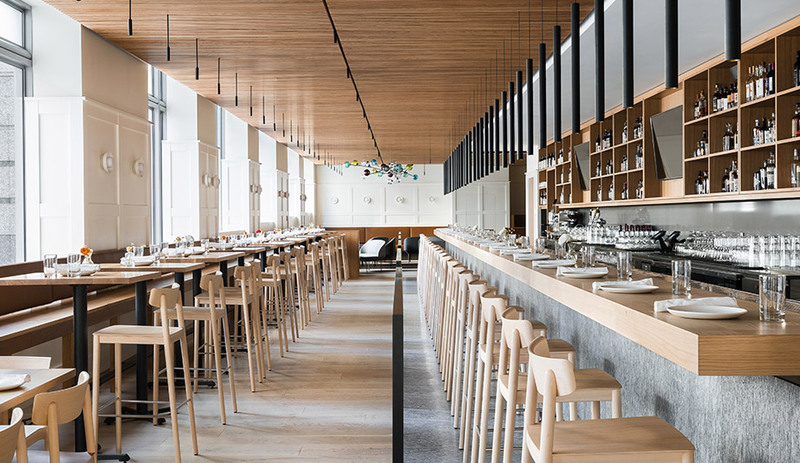 The designer, who always aims to create a “360-degree experience,” furnished the restaurant with wood tables – freestanding and wall-mounted – outfitted by Ton‘s Merano collection of solid wood and bent ply chairs and barstools. 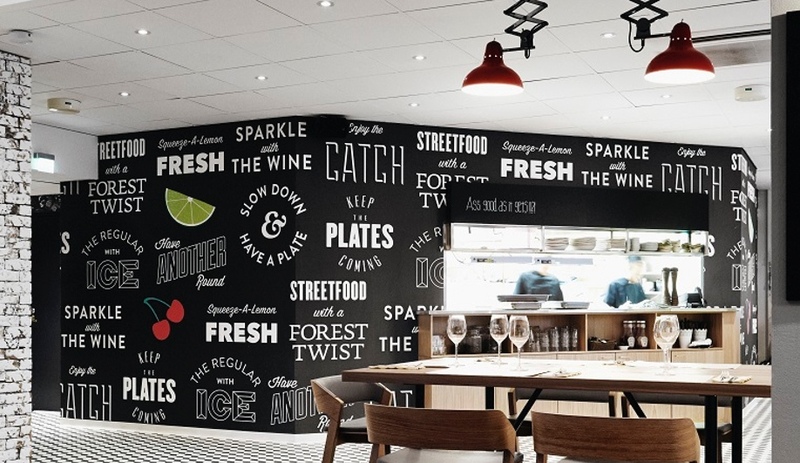 Showing a deft touch for evoking variety in a delicate manner, Laajisto gave each wall in the restaurant a visual anchor. The window wall features its original grand-arch openings, the back wall is lined with circular mirrors that elongate the row of Vertigo Bird Funnel lights, and the front wall is clad in minimal moulding topped with a band of square mirrors. 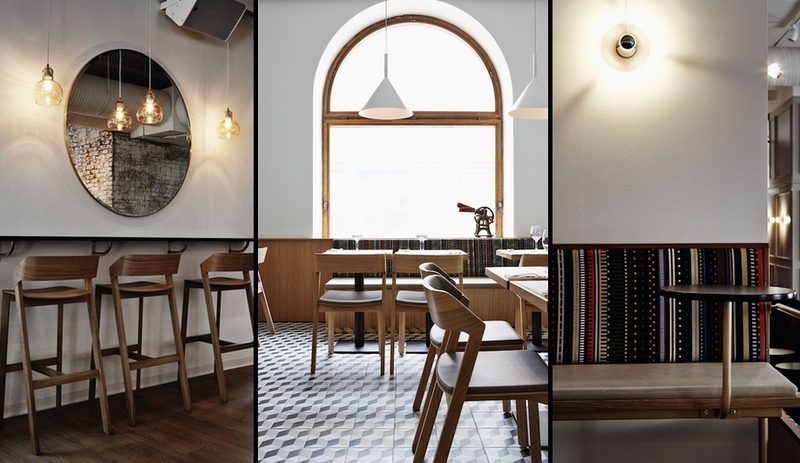 Along the perimeter, Laajisto has lined the space with bespoke banquette seating upholstered in Paul Smith’s striped fabrics (the stylish default of modern restaurant design). 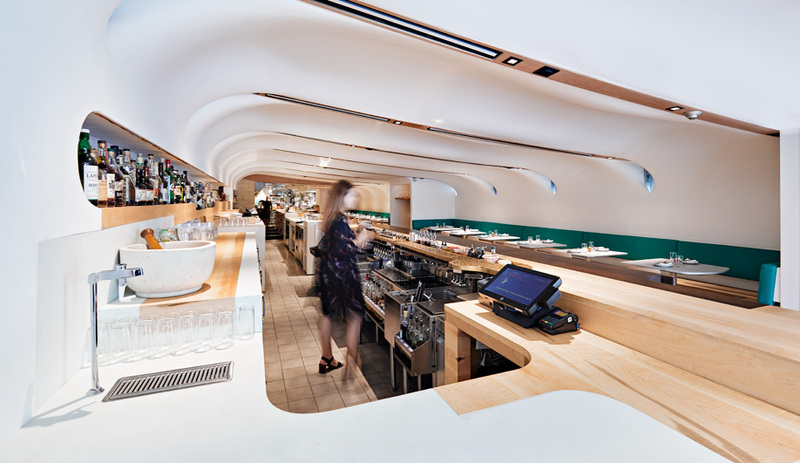 The nightclub inverts the restaurant’s white and airy aesthetic. 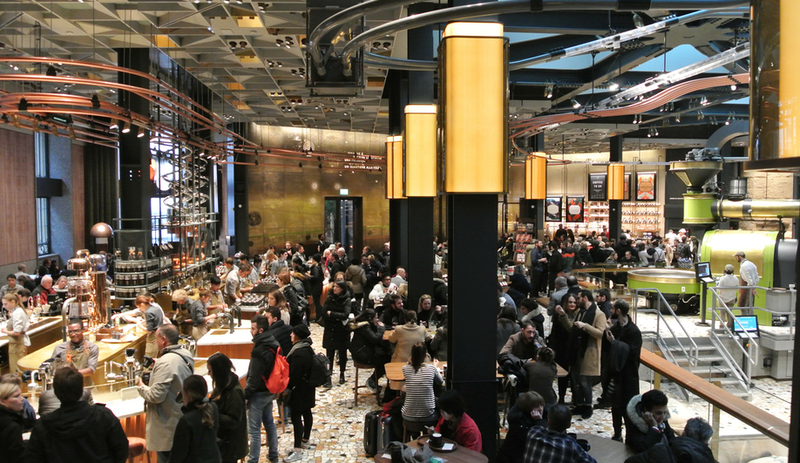 Connecting the two spaces is a bar area; set on a platform, it features an 11-metre-long concrete bartop and white-brick wall against which the backlit shelves of bottles twinkle. 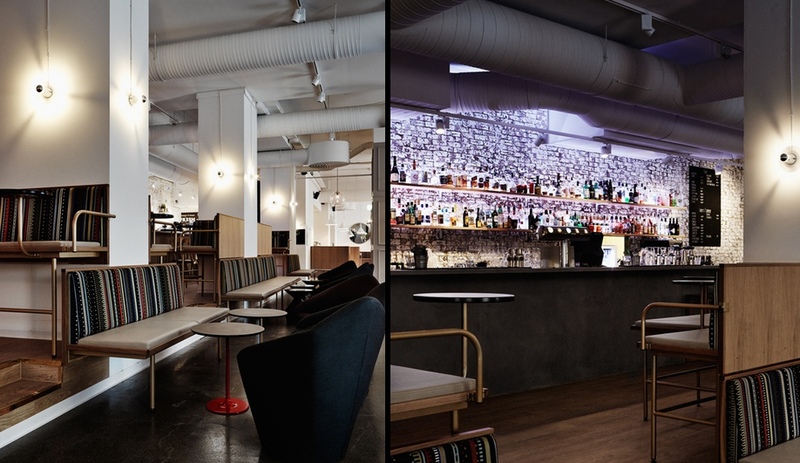 The nightclub is filled with dark, plush bench seating and low tables; here, the Paul Smith–upholstered banquettes, featuring unique touches like dainty brash-finished arms and drink tables, are mounted to the walls and seem to float opposite the heavy armchairs that balance the mood. While mostly minimal, the interiors also feature some graphic touches. 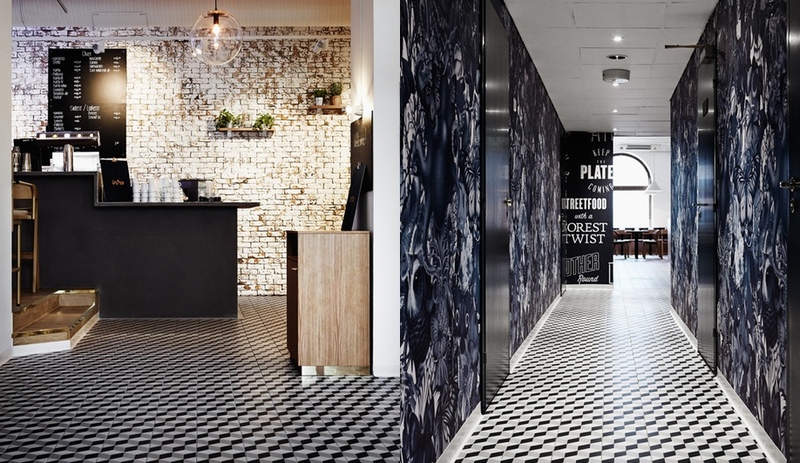 A monochromatic baroque pattern lines the walls of a corridor between the spaces. 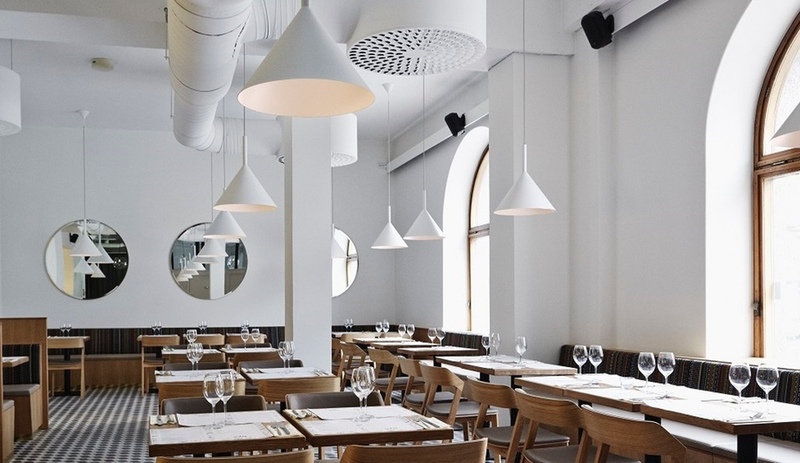 And the kitchen enclosure is covered in bursts of phrases – “Keep the plates coming,” “Have another round” and “Streetfood with a forest twist” – that spell out the friendly ethos of the restaurant, run by chef Risto Mikkola.